Few Great Lakes vessels are recalled with more genuine affection than the passenger/package freight vessel America. 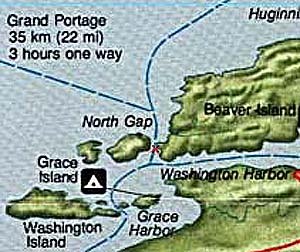 She is the most dived shipwreck at Isle Royale National Park. America was constructed by the Detroit Dry Dock Company and launched on Saturday, April 2, 1898. Her original length of 164.6 feet was increased 18 feet in 1911. 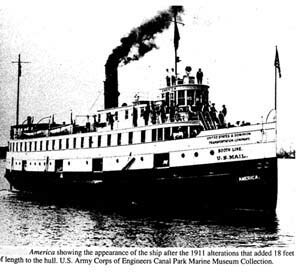 In March 1902, the Booth Steamship Line purchased the vessel and put America on the Duluth Port Arthur and Isle Royale route. 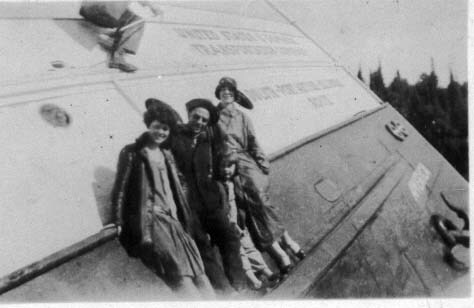 In the early morning hours of June 7, 1928, America dropped off passengers at the Singer Hotel dock on Isle Royale. 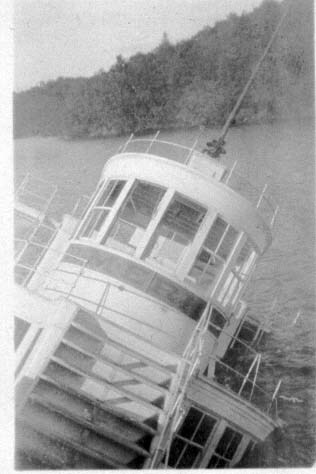 Five minutes after clearing the dock the ship thudded over a reef tearing a small hole in its hull below the engine room on the starboard side. Capt. Smith decided to try and reach a small gravel beach at nearby North Gap of Washington Harbor. America ground to a halt about 30 yards short of the beach. All 15 passengers and 30 crew members made it safely to shore in the life boats. 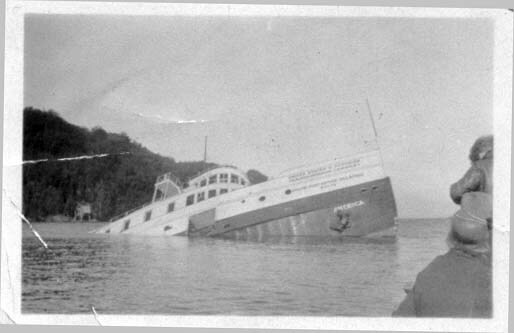 The GLSPS has led numerous preservation efforts to maintain stability and safety of the wreck. Click here for SS America preservation info. We have also published a book: S.S. America: A Diver's View of the Past.